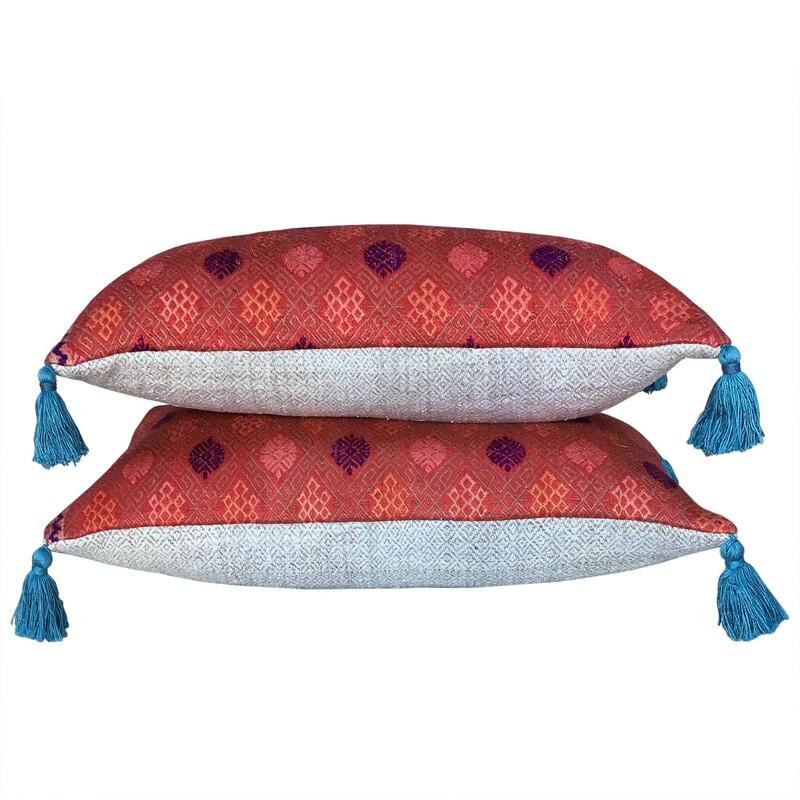 These cushions are made from an early Zhuang wedding blanket in heavy handloomed cotton and silk. 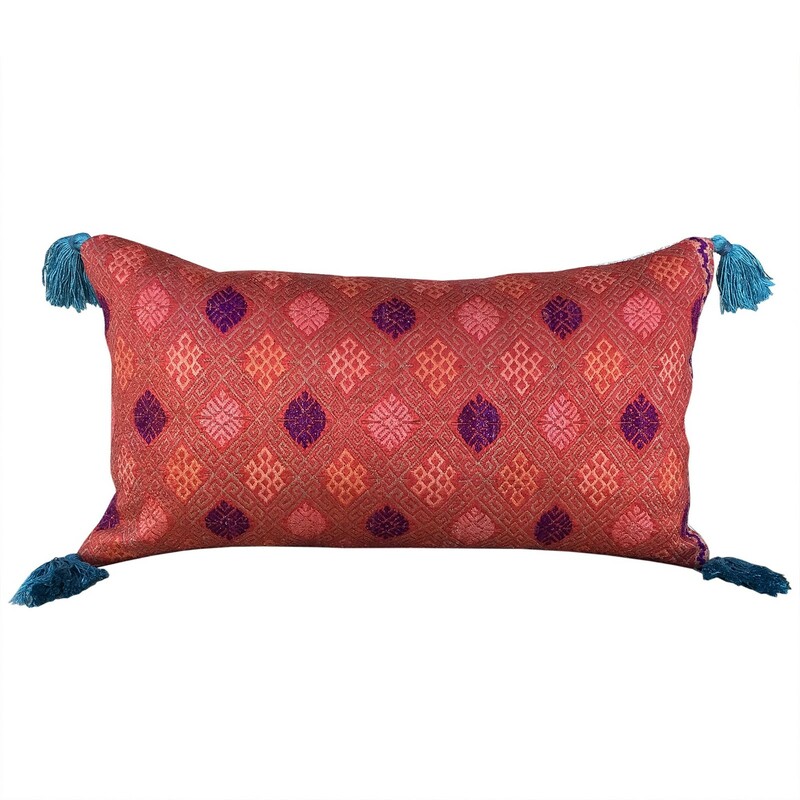 The colours are jewel like in shades of orange with an auspicious symbol picked out in purple. The corners have handmade tassels in bamboo yarn. They are backed with a thick vintage hemp, have zip fasteners and feather pads. 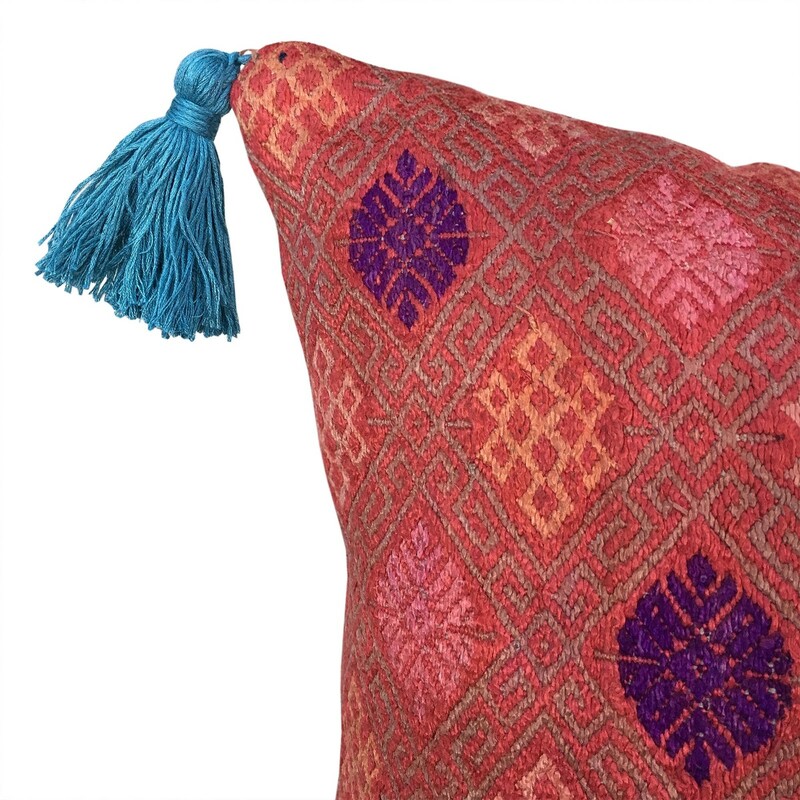 I am inspired by the exquisite textiles designed and woven long ago by artisans often in some of the most challenging environments in the world. I love to find a new use for these textiles so that they become relevant in today’s interiors. Turning them into beautiful and unique cushions or lampshades or simply by framing them as a piece of wall art. I particularly love the bright colours of the silk dowry textiles woven by the minority groups in South West China and the more organic raphia cloths and cotton stripweaves from the Kuba and Yoruba ethnic groups in West Africa. My signature look mixes these bright and sophisticated silk brocades (especially the pinks!) 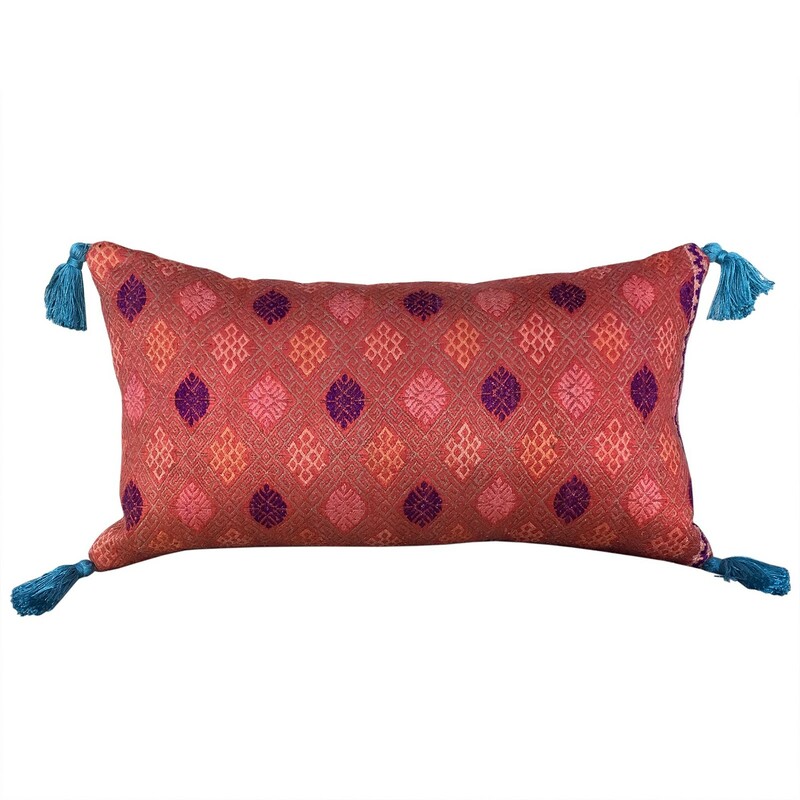 with the contrasting rustic indigos and cottons, often embellished with embroidery or applique. I work out of my studio in Purley, Surrey where you are very welcome by appointment to view current stock and other textiles or to discuss bespoke projects.